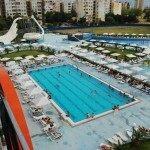 Waterpark in the heart of the city !!! Amusement water park with dozens of fun-this is Aqualand. Here you will find entertainment for the whole family. Extreme slides and emotions. Children’s laughter and fun. 16 slides and 6 swimming pools will make your day unforgettable. 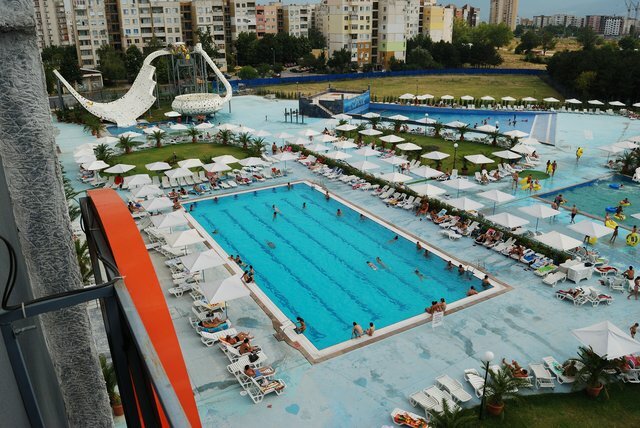 Throughout this wonderful water park offers ,snack bars provide variety of tasty snacks and refreshing drinks. Also available cold drinks , beers , cocktails and ice cream. With large seating areas and beautiful views of the park. Ability to organize birthday parties. For the convenience of our guests take care professional rescuers and a team of well trained staff. Customers receive at the entrance magnetic clock, which provides them with a single entrance and exit of the park.